International politics is already hard enough. Interplanetary politics is even that much more difficult to untangle. In Space 1889: The Fate of Angahiaa, the Canal Prince wants to expand his influence and power. However, various nations on Earth, who have vested interests in the goods coming through that region aren't so excited about things. How does this drama play out? That's for your characters to decide. The new adventure book is available from Modiphius now. 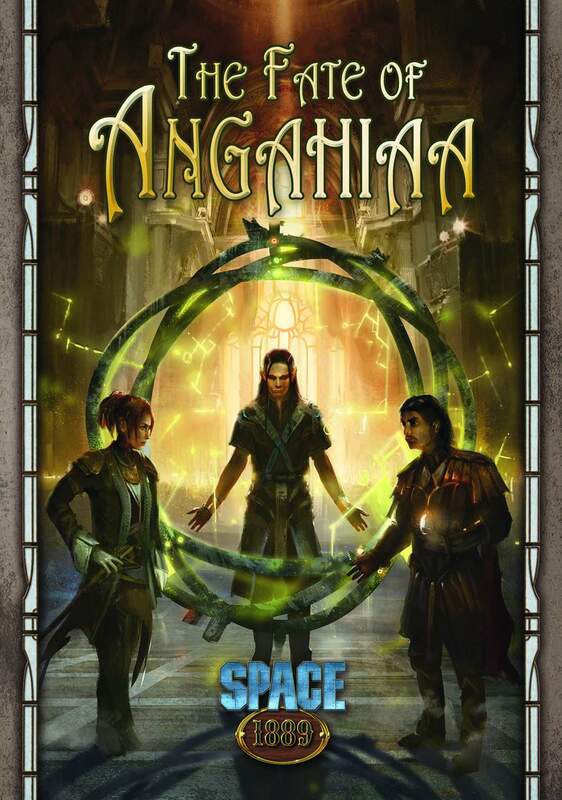 Today we're really pleased to announce the release of a new adventure in Clockwork Publishing's splendid steampunk RPG, Space 1889: The Fate of Angahiaa, which is now available on Modiphius.net in print and PDF as part of our Space 1889 Collection.